Every feature for an amazing worksheet in a single tool. It's time to build a great spreadsheet. Explore the stunning capabilities of MindFusion spreadsheet for WPF control - implement familiar Excel-like functionality in your own application with a mouse click. MindFusion spreadsheet is a full-featured WPF component that lets you create, edit and save amazing spreadsheets with little programming effort. The control gives you the freedom to perform any task you would normally do in Excel - from cell merging and freezing, to font customization and data validation. Treat yourself to the complete set of clipboard operations as well undo/redo functionality. 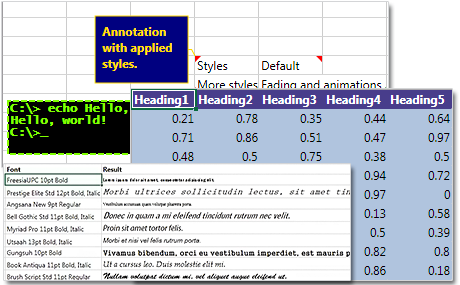 Make the most of each worksheet - insert hyperlinks, images and annotations. Finally, let the users of your WPF application print the workbook, export it in a variety of formats ((XLSX, ODS, PDF, CSV, BMP, JPEG, GIF, TIFF, PNG) or just save it on the hard drive. MindFusion spreadsheet component lets you style and design your workbook as your requirements dictate and anything you could do in Microsoft Excel is now possible in your own WPF application. The programming tool offers you an impressive list of styling features that range from background color to border styles and brushes. The complete set of font options are supported for each piece of text you write. To make your job as a WPF developer even easier the control implements conditional formatting - the format of a worksheet cell can depend on certain criteria such as the result of an expression or whether its value falls within a specified range. 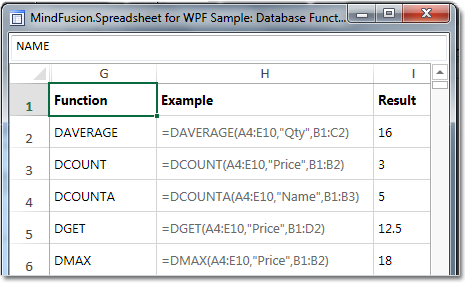 MindFusion Spreadsheet for WPF control boasts a long list of database functions to let you make the most of your data. You can apply to your spreadsheet the standard set of database functions like min, max, sum, average, count. 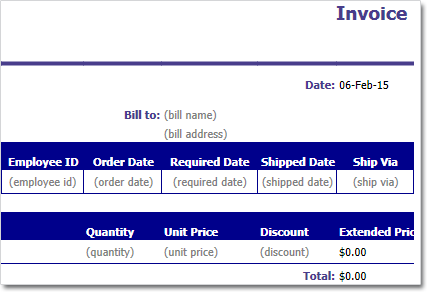 Filtering a column according to a certain criteria is also fast and convenient. Add to this advanced functions like standard deviation and variance. And as if this is not enough, you can use the spreadsheet component to create your own custom functions that match the unique needs of your WPF application. Charts are indispensable part of an appealing spreadsheet and this WPF control lets you deliver stunning charts that make most sense of your data in an intuitive and easy manner. 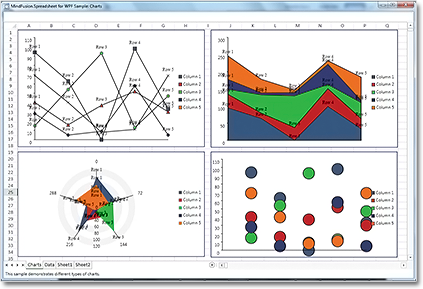 You have the ultimate choice of all popular chart types - line, bar, pie and radar as well an endless variety of them - combination, bubble, polar, doughnut charts and many more. With unrivaled attention to detail, the charting control lets you customize every single chart feature - from fonts and brushes to label format and legend size. The advanced capabilities of the stand-alone charting library, which is in effect embedded in the spreadsheet component do not come at the expense of complexity - the API is elegant and simple to comprehend and use. The built-in chart editor in the spreadsheet tool makes adding the right chart to your workbook a fast and pleasant task. MindFusion Spreadsheet component not only empowers your WPF application with an extended set of Excel-inspired capabilities that make you stand out of the competition. The tool also provides you with a rich choice of samples, tutorials and guides for both C# and VB.NET. A detailed API reference together with code samples is available for you to browse both online as well offline. Technical support is also ready at hand - you can contact MindFusion competent and friendly support team in a variety of ways at no extra fee - and each time we will readily stand by your side to assist you in delivering the best possible result within the shortest possible time frame. 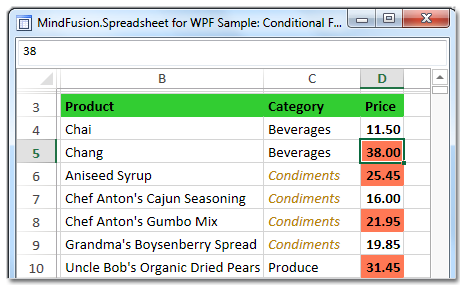 Developing a great WPF spreadsheet application has never been that easy.